When you're serving up supper on an ordinary evening, you need plates that are generously proportioned to plate the meal. These side plates are the perfect solution and will add charm to your weeknight dining table. Durable enough for everyday use, these plates are sure to become a regular part of your table setting. Beautiful white porcelain with a smooth, polished finish. 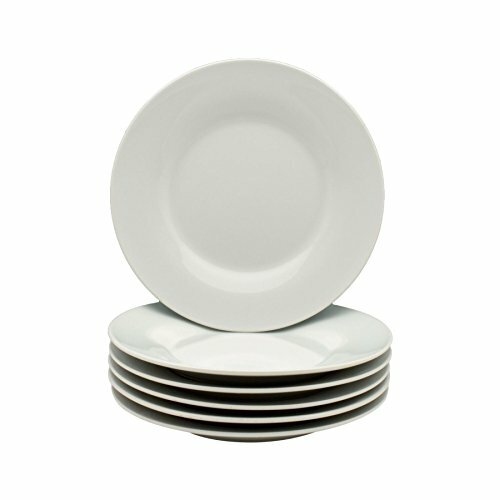 Professional quality crockery dishes, suitable for restaurants or home use. Rolled edges are very resistant to chipping. Vitrified to make them resistance to heat for safe use in the oven or microwave. Porcelain is freezer-safe.Easy to clean up; Just place them in the dishwasher. If you have any questions about this product by Argon Tableware, contact us by completing and submitting the form below. If you are looking for a specif part number, please include it with your message.